As we begin the new year I would like to challenge all or our Community Granges to look at the Grange not just a as legacy we are carrying on, but as someplace where we can promote programs to be "modern and youthful." 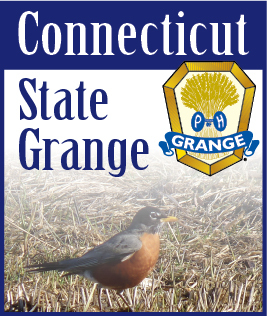 For many years the youth grange motto has been "improvement and change." I am asking you to take a look at increasing the value of the Grange for a generation who sees things different that most of our members and think about what would need to change to bring that value into our meetings, programs and conversations. In addition to planning a New England Youth Conference for July of 2019 and the usual events the committee has worked on over the last several years, our biggest push will be in promoting active, contemporary and enthusiastic programs and events. Your Youth Committee would like to recognize ALL Community Members who get three or more new members between the ages of 14 and 35 to join your Grange. We also hope to present to the Member who brings in the most youth members with 1 year paid Community Grange Membership. As a committee I am hoping we can develop a set of tools and resources for you to use to promote your Grange to today?s youth. Staying the same is not going to increase our value, in the eyes of today?s youth, young adults and families. There is value in legacy and there are ways of pairing it with more contemporary programs. Embracing social media is one way to get our message of who we are out there but if the message is not directed toward youth they may not see it. Design active events and programs. Have fun with it but also be aware of the differences in how we perceive things. We are encouraging you to listen and not lecture. Step back and have a conversation. Be open to change. Note what interests them first then let them know what we do, that might interest them.